Can you believe that this 89th wedding anniversary has been celebrated? It has and with people living longer the chances are there will be more couples joining this exclusive club. There are no traditional symbols for this anniversary so you are free to set your own traditions. Ideas for gifts are also yours to choose. 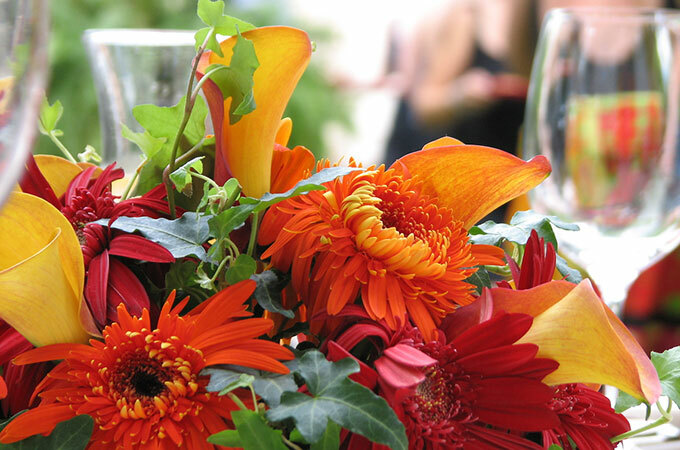 Try to keep any party theme with warm colours, orange and yellow, both representative of happiness and sunshine, and suggest a feeling of warmth, look great together in a bouquet of flowers. Of course the couple may have their own ideas on how they want to celebrate their 89th anniversary and these should be adhered to. The story of how the couple met each other and their secret to such a long lasting marriage is big news, this does not mean the celebrations need to be on a grand scale after all they are probably over 100 years young. This is a sharing anniversary as well and would make a great photo gift if you could gather as many of the family together as possible. A nice enlarged print on canvas or paper and then framed makes a gift to be treasured always, and extra prints can be ordered by family members if so desired. All the family are sure to want to see them on their special day, but the couple may wish some quiet time with each other, so plan for this and maybe organise a rota of visits over a few days, even if it takes a week of visits, that way they can have an anniversary week and it will not be as overwhelming to them as seeing everybody on the same day. However you decide to celebrate and whatever your gift choice, the truly wonderful event of an 89th wedding anniversary certainly deserves to be shared.